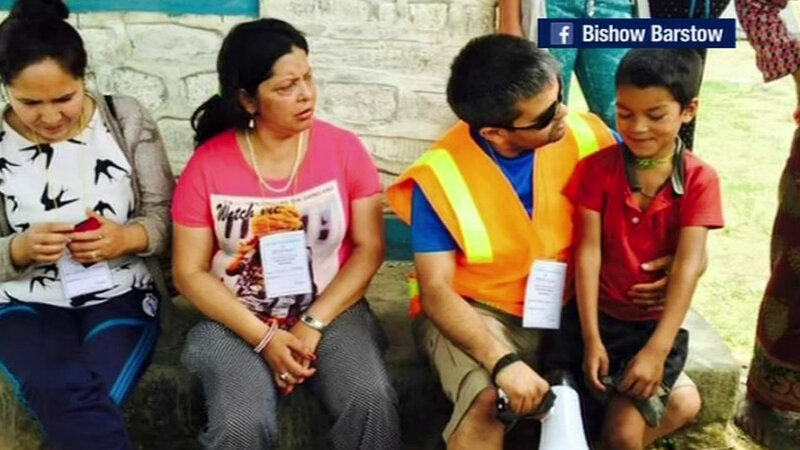 ABC7 News reporter Sergio Quintana was on assignment in Nepal when he experienced the country's second major quake and shares the reaction. 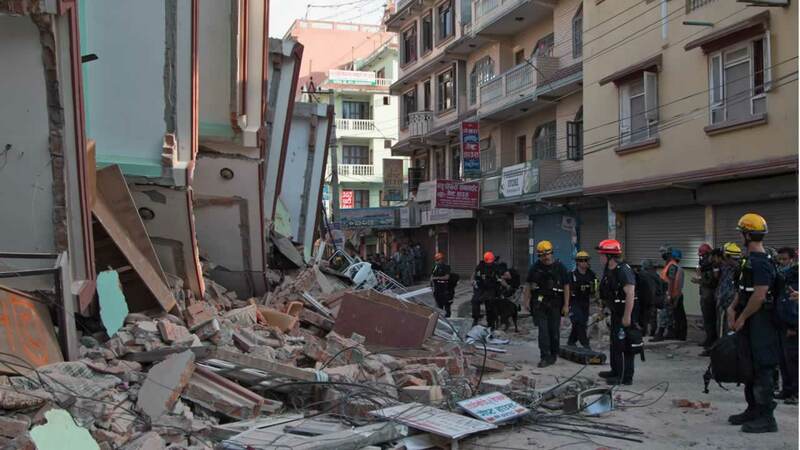 KATHMANDU, Nepal (KGO) -- The search is on for survivors under the rubble after a 7.3 magnitude earthquake struck Tuesday afternoon in Nepal. This is the second deadly earthquake to hit that country in less than three weeks, triggering landslides and knocking down buildings. ABC7 News reporter Sergio Quintana is the only Bay Area reporter in the quake zone giving live updates. At least 68 people died in Nepal and 17 died in neighboring India in this recent major quake. Shortly after the shaking, a Marine helicopter based at Camp Pendleton went missing and has yet to be located. The helicopter was carrying two soldiers from Nepal and six U.S. Marines for a relief mission. All this happened as quake survivors are dealing with numerous aftershocks. ABC7 News reporter Sergio Quintana is the only Bay Area reporter in the quake zone. We spoke with him by phone about the devastating situation there. He said the quake lasted a long time. "The first stage was a pretty violent rattling, so I ran out of my room into this open patio area where I knew there were no buildings that were going to fall on me, and I kind of figured it was going to pass, but it just kept going," Quintana said. "Thousands streamed out of the Downtown Thamel District, terrified that some of the buildings were going to collapse on them. Lots of people also immediately shot down their shops and went home." Quintana arrived in Nepal last Friday. He said people were cleaning up from the massive quake that hit on April 25. "It's fascinating how much things have changed in just a few hours. When we got here, there was a final sense of getting back to normality... Everyone was starting to get back to normal. Today, they are back in shock and they are back on guard, trying to make sure their own home doesn't fall on them," Quintana said. Nobody wants to sleep in their homes or apartment buildings right now. "You know, people had been in tents up until just a few days ago, but tonight, they are in tents again because they're worried another quake will come, or another aftershock will come, and they don't want to be trapped in their houses," Quintana explained. Quintana is following the work of a Bay Area nonprofit called Motherland Nepal. They are trying to bring supplies and medical care to the rural areas of Nepal, which are cut off by debris. Now, the head of that organization, Anil Pandey, says they will need more help than ever. "He gathered funds and donations and asked a team of medical technicians if they would come out here and be here a while and to provide that very basic service. And they did, and they're going to be here for a month," Quintana said.